Sweeping regulations are changing the way banks handle risk. The Fundamental Review of the Trading Book (FRTB) represents an important shift designed to provide a firm foundation for the future. While laws passed after the financial crisis offered a patchwork, the FRTB is a change that offers banks a motivation for putting in place a strong infrastructure for the future. In this series on the FRTB, we explore what it takes to create effective internal risk models using a graph database like Neo4j. 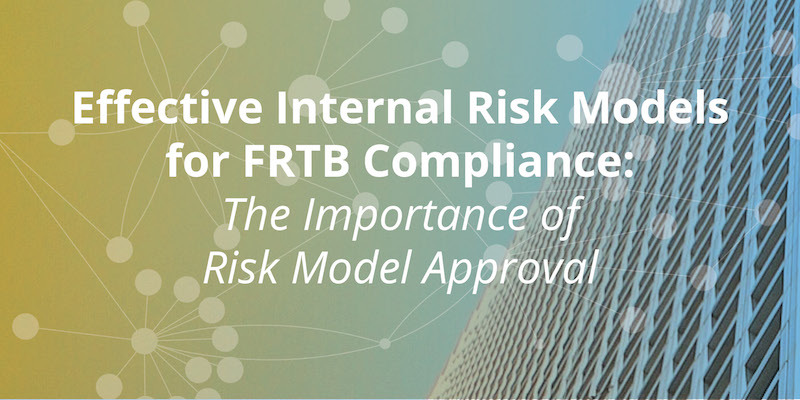 This week, we’ll look at the major areas impacted by the FRTB, including raising risk reserves, the trading desk, and the role and approval of internal risk models. Fundamental Review of the Trading Book (FRTB) regulations are part of the upcoming Basel IV set of reforms and create specific capital-reserve requirements for bank trading desks based on investment-risk models. The new regulations require banks to reserve sufficient capital to maintain solvency through market downturns and avoid the need for governmental bailouts. Banks are using FRTB mandates as an opportunity to build a firm foundation for future risk management and compliance applications that lowers development and staffing expenses, optimizes reserve ratios, maximizes available capital and drives investment profits. In the financial crisis a decade ago, banks worldwide held large risk exposures in their trading books without sufficient capital reserves to weather the length and depth of the plunge in investment markets. As a result, regulators created new data management and capital-reserve requirements to avoid another market meltdown. In turn, banks created risk compliance models that were tested and approved by regulators. But at many institutions, those models were not maintained, and as time passed, market and internal changes exposed the banks to new investment risks. Today, risk-compliance problems are addressed by BCBS 239 (Basel Committee on Banking Supervision standard 239) and FRTB (Fundamental Review of the Trading Book) regulations. BCBS 239 puts forth principles for risk-data governance, aggregation and reporting, and associated IT infrastructure. FRTB standards – which are part of BCBS and the upcoming Basel IV set of reforms – create specific capital-reserve requirements for bank trading desks based on investment-risk models. FRTB regulators develop guidelines that require banks to reserve sufficient capital to maintain solvency through market downturns and avoid the need for governmental bailouts. The reserve requirements for trading books are higher than banking books, tempting institutions to engage in regulatory arbitrage – the movement of assets between books to affect reserve requirements – a practice that is now being tightly scrutinized and regulated. 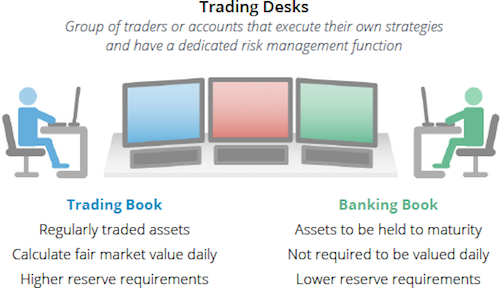 FRTB regulations include default reserve calculations that result in measurably higher capital requirements designed to account for new levels of trading-book risk unaccounted for by the Basel II risk framework. The higher capital requirements translate directly to lower levels of investment capital, flexibility, revenues and profits. Banks may accept BCBS’s reserve calculations or develop their own internal risk models to calculate capital-reserve requirements. To use internal-model results, banks must obtain the approval of national regulators by proving how well models represent risk in the banks’ investment strategies. The approval process requires a bank to forecast hypothetical profits and losses using its model’s calculated capital reserves as well as to backtest the model with real pricing and holdings data. FRTB also requires that internal models implement expected shortfall calculations to address outlying tail risks in investment strategies. If a bank fails the regulatory audit, regulators use standard BCBS formulas to determine substantially higher amounts of capital that the bank must reserve to cover potential losses. If the internal model passes the audit, the model’s calculated capital reserve requirements replace regulators’ default reserve requirements as well as traditional value-at-risk (VaR) measures. Internal risk model approval leads to lower reserves and higher levels of investment capital, flexibility, revenue and profits. FRTB mandates higher default reserve requirements than those calculated by banks’ internal risk models. Implementing this demands the ability to trace data dependencies through many levels of complexity. A graph database offers an effective way to capture all these connections at scale. Neo4j is the world’s leading graph platform. In the coming weeks, we’ll explore how to trace data lineage across data silos and how traditional technologies like spreadsheets, relational databases, and data warehouses fall short. We’ll dive into why banks need a modern graph platform as the foundation for effective internal risk models that meet FRTB requirements. Find out why leading financial services firms rely on Neo4j graph technology for compliance and innovation, Effective Internal Risk Models Require a New Technolgoy Foundation. Click below to get your free copy. 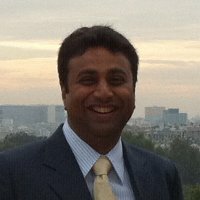 Nav Mathur is Senior Director of Global Solutions at Neo4j. He is responsible for solutions development and go-to-market activities.